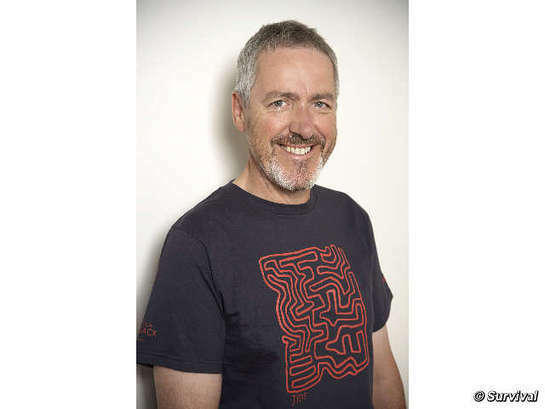 Comedian, actor, presenter and author Griff Rhys Jones has modeled Survival International's new T-shirt by internationally acclaimed Aboriginal artist Jimmy Pike. 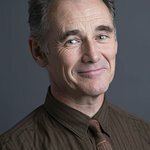 “I am delighted to support Survival and their urgent work for threatened tribal peoples,” he said. The design, titled ‘Jilji-desert sandhills’, captures the essence of the Australian landscape with its sinuous lines and bold color. Jimmy Pike (1940-2002) was one of the Walmajarri people, one of the last Aboriginal groups to make contact with white Australians. He gained national and international recognition through the ‘Desert Designs’ range. His paintings and limited edition prints are keenly sought by collectors and his works are hung in major Australian and international galleries. Pike’s work is rich in spirituality, emphasizing his desire to preserve the traditional stories, symbols and beliefs of his people.